When you order a Wavecom or Sierra modem from us, you should tell us which adapter you need. 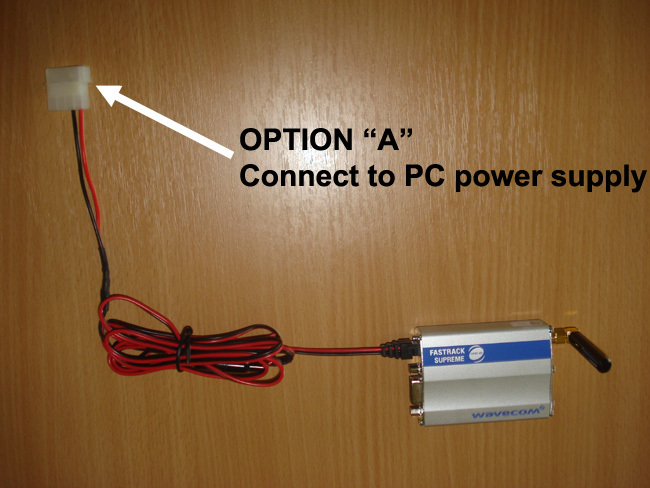 You can select the adapter that connects your modem to the PC power supply and you can select the adapter that connects you modem to the standard 220V wall socket. You can connect your Wavecom modem directly to the PC power supply. You can take a look at the adapter cable on Figure 1. 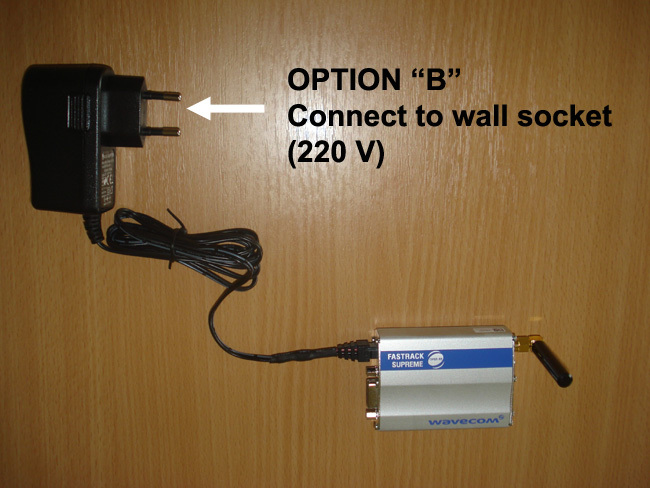 You can connect your Wavecom modem to the standard 220V wall socket with the adapter shown on Figure 2.